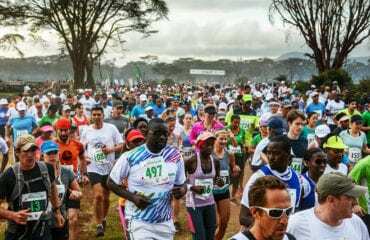 Although regarded as one of the toughest marathons in the world, runners of all abilities take part — from walkers and amateurs to professionals like Paul Tergat, the Kenyan former world record holder. 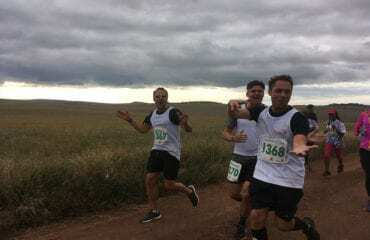 As a result, the event has grown to become one of the country’s major sporting events and is regarded by Runner’s World as one of the world’s top ten “must do” marathons in the world. The race is open to anyone and everyone; there is even a 5 km race for children! Following an overnight in Nairobi, you will spend three days in the Lewa Wildlife Conservancy at Maridadi Camp, the “athlete’s village” is set up just for runners and spectators creating a lively and convivial atmosphere. Comfortable, traditional tented accommodation, great food and camaraderie will all be yours to enjoy. 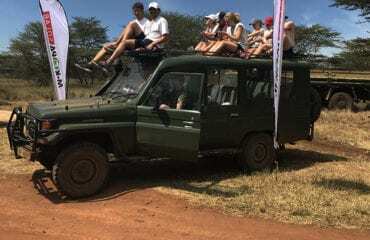 Highlights include a supervised training run (with an armed ranger) through Big 5 game territory, some of the best wildlife viewing in Africa and visits to Lewa projects that have been funded by the Marathon. This is an inspiring, behind the scenes look at conservation in action and to see real examples of how this event is saving and improving lives. 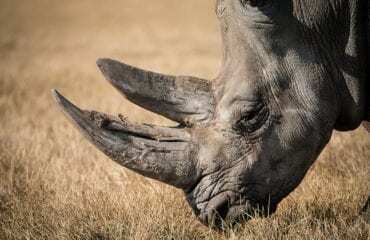 This is the land of endangered rhino, the majestic lion, mighty elephant and so much more. Your participation helps to ensure that these animals will be with us for generations to come. If you would like to extend your travels in Africa, we can happily arrange a safari in the Masai Mara, gorilla tracking in nearby Rwanda, or a rest and a flop on a white sandy beach. 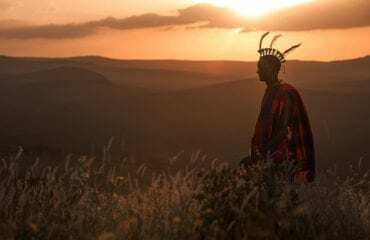 This continent offers a multitude of exciting options either before or after the marathon and we have the knowledge and experience to deliver an African journey of a lifetime. You will stay at the Norfolk Hotel for one night on a bed and breakfast basis. Your stay here includes breakfast tomorrow morning. During your stay at the Norfolk Hotel you have the choice of several indoor and outdoor dining options as well as the opportunity to take a refreshing dip in the swimming pool. The Norfolk Hotel is one of Nairobi’s oldest hotels. It opened on Christmas Day of 1904. It is situated in the heart of Nairobi a short distance from Jomo Kenyatta International Airport and from Nairobi’s main business and shopping districts. All rooms have an en-suite bathroom with bath and shower, a mini bar, television and radio, direct dial telephone and air-conditioning. The hotel has five restaurants and three bars, a swimming pool, a hair and beauty salon, shops and newsstands and a health club with a fully equipped gym, saunas, steam rooms, aerobics classes and massage therapy. You will stay at Maridadi for three nights on a full board bases. 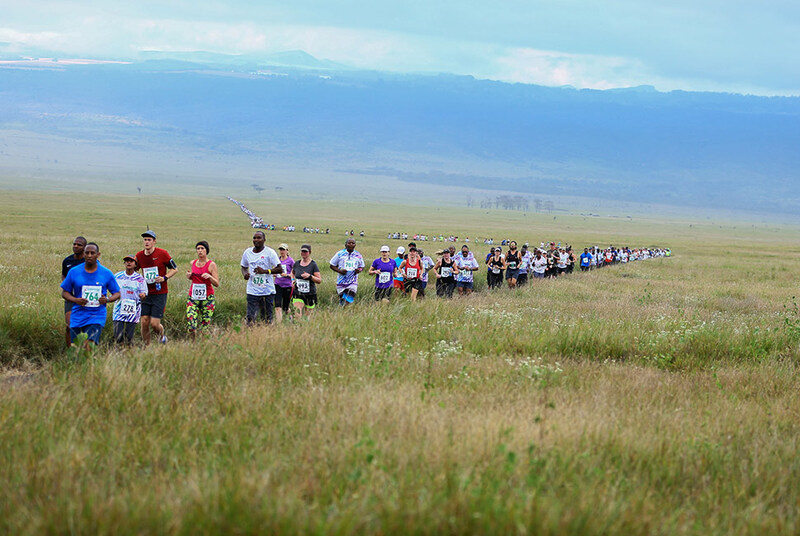 This is a traditional tented safari camp in the Lewa Wildlife Conservancy and is set up just for the annual Safaricom Marathon benefiting Tusk. 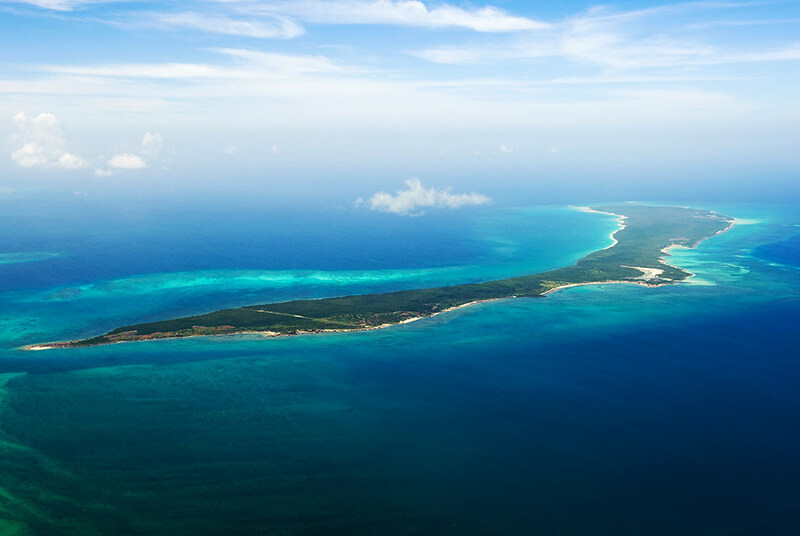 Set in a prime location on the 61,000 acre Conservancy, Maridadi serves as the fun and entertaining “athlete’s village” for participants and spectators alike. Each Meru-style walk-in tent is equipped with comfortable twin or double beds and has its own safari bathroom with a hot water bucket shower and short drop toilet at the rear of each tent. The tents come complete with high quality linens, daily housekeeping and have kerosene lanterns to light the way to your tent and bathroom at night. Common areas include a bar, a mess tent and all food from the excellent “bush” kitchen is included. 26th June 2019: Upon arrival at Nairobi International Airport you will be met by an airport representative as you disembark the aircraft (or, if you are taken by shuttle bus to the airport terminal, you will be met at the entrance). From here you will be assisted with clearing Kenyan immigration, collecting your luggage and then escorted to your transport to the Norfolk Hotel. The journey from the airport to the hotel is approximately 45 minutes. 27th June 2019: After breakfast (included) you will be collected by your driver and transferred to Nairobi’s domestic airport, where you will be assisted with check-in for your scheduled light aircraft flight to Lewa. This is a scenic, low level, light aircraft flight of about one hour. Upon arrival at the Lewa airstrip, you will be met by a guide and taken to Maridadi Camp for your three night stay. This afternoon you will have a chance to participate in a supervised training run through the plains with an armed guard. This evening, you will have a game drive in the Conservancy ending with sundowner drinks at a stunning lookout point to chat and mingle with other overseas competitors and discuss the race ahead. 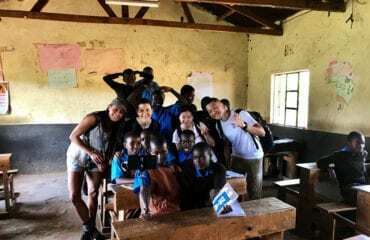 28th June 2019: Today you have the opportunity to visit one of the projects on Lewa funded by the Safaricom marathon such as a school or water project. Alternatively, or additionally, there is the option for another game drive to see some of the exceptional wildlife on the Conservancy. In the evening you will have a race briefing in camp and prepare for the big day. 30th June 2019: After breakfast you will be given an insider’s look at conservation in action on the Conservancy. Here, groundbreaking work carried out by Tusk with black and white rhino, elephant, and anti-poaching initiatives serves as a model for other Conservancies throughout Africa. Afterwards, a game-drive transfer will take you back to the Lewa airstrip for your scheduled light aircraft flight to Wilson Airport. This is a flight of approximately one hour. Upon arrival in Wilson Airport, you will continue your travels under your own arrangements. 30th June 2019: As your flight arrives in the early afternoon, and runners will be taking many different international flights home,we end the arrangements at Wilson airport today. There will be plenty of taxis on hand should you wish to head straight to the international airport or you may prefer to go shopping or to one of Nairobi’s many restaurants. Alternatively, you may wish to continue your journey and explore other parts of Kenya. Others opt to travel across the border to Tanzania’s famed Serengeti or flop on a white, sandy beach. There is also the option to track mountain gorillas in Rwanda or Uganda. We can recommend some fantastic African experiences before or after your run and we would be delighted to advise and assist with any onward arrangements. Please note that light aircraft require a strict 15 kgs soft sided luggage allowance per person including hand luggage – no wheels or frames. Drinks can be purchased with US$ cash or Kenyan Shillings. All game viewing activities quoted are on a shared basis. If you would prefer to have use of a private guide and vehicle for your safari this can easily be arranged in advance at an extra cost.